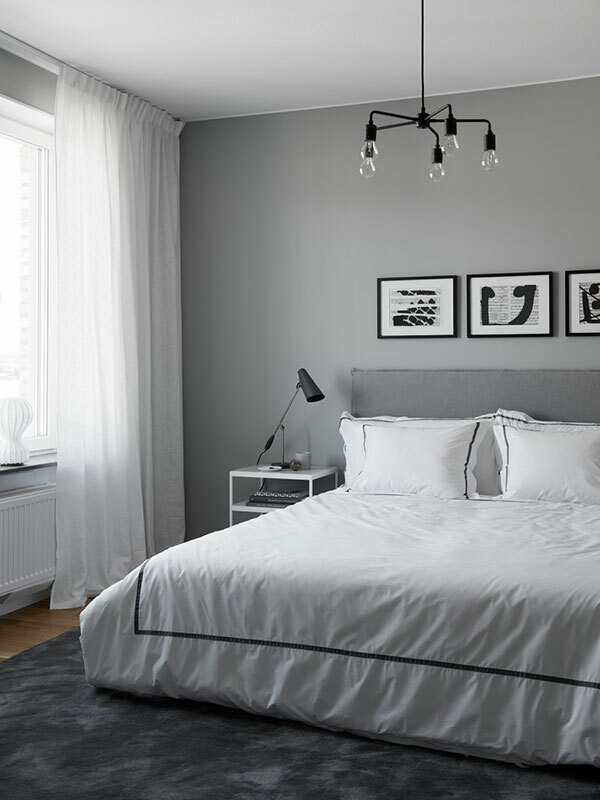 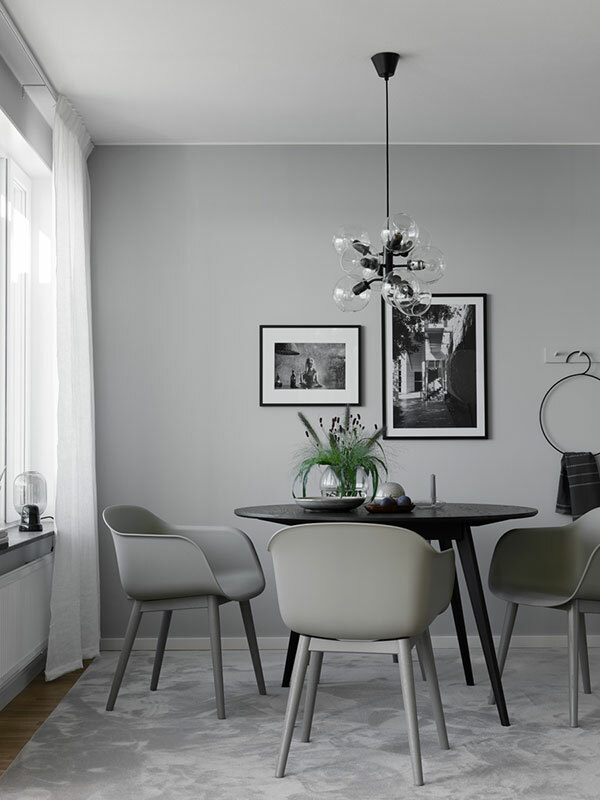 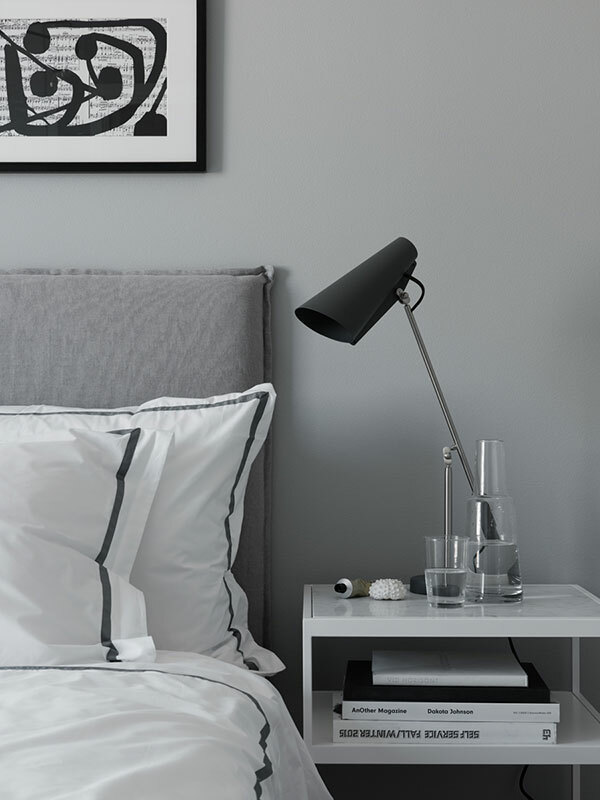 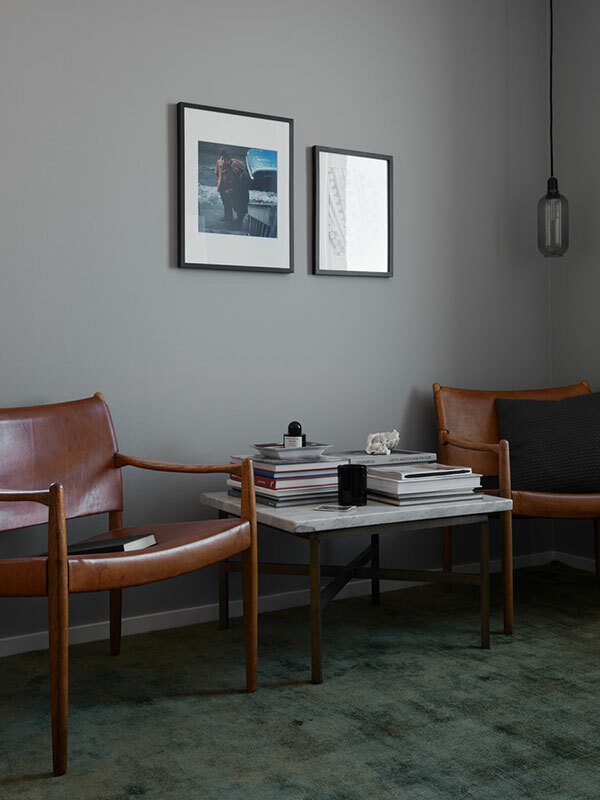 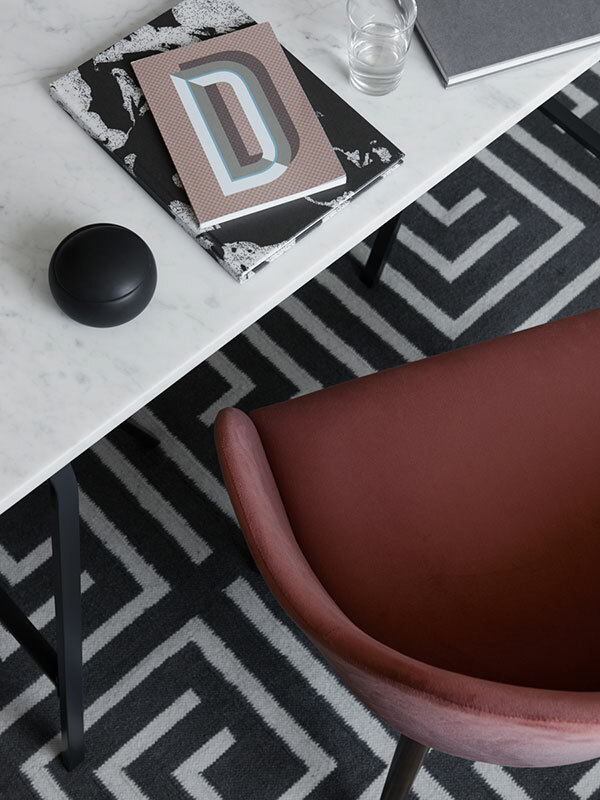 Predominantly grey with just a few hints of colour, the interior of this new apartment in Lidingö (just outside of Stockholm) was created by talented interior designer and stylist Anna Mårselius. 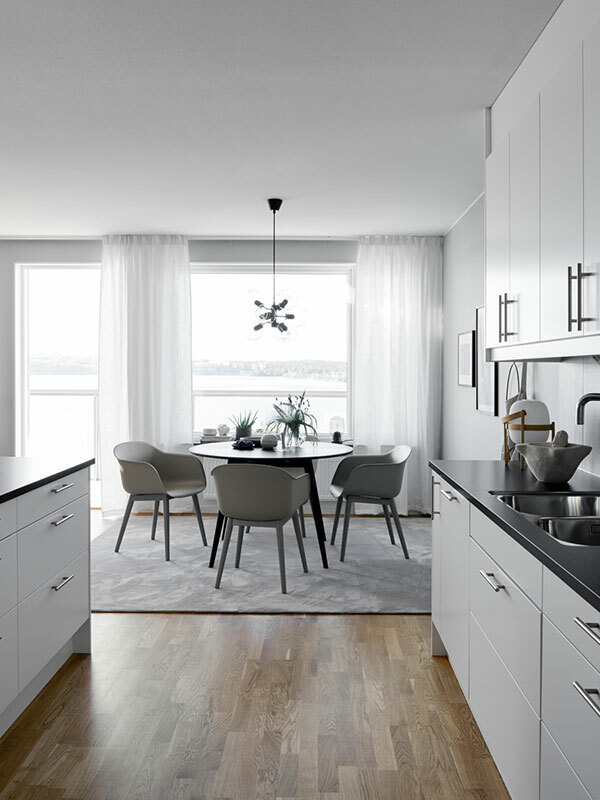 Wanting to create a calming effect, as well as a clean slate for the new owners, Anna chose a muted palette so as not to distract from the incredible water views that can be seen from almost every window of the home. 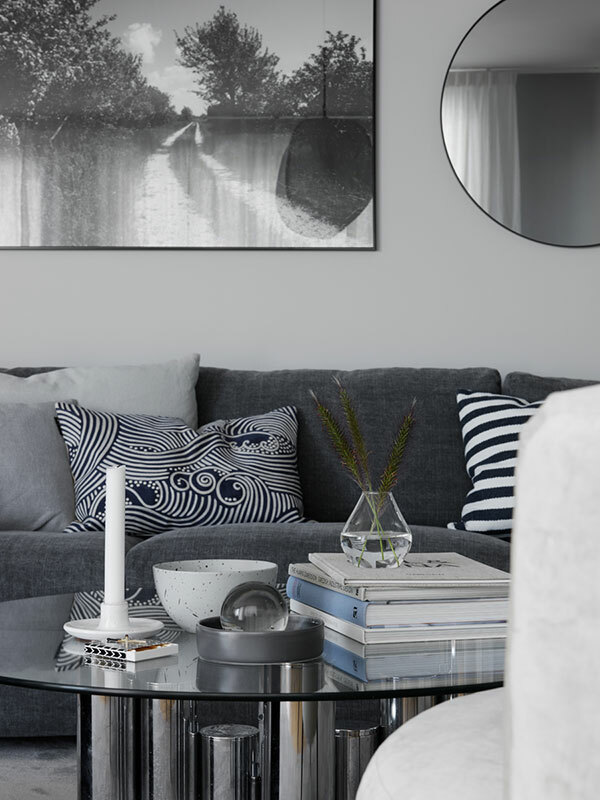 Executed beautifully, the mix of grey tones is enhanced by elegant furniture, lighting and accessories in a mix of velvet, chrome and glass. 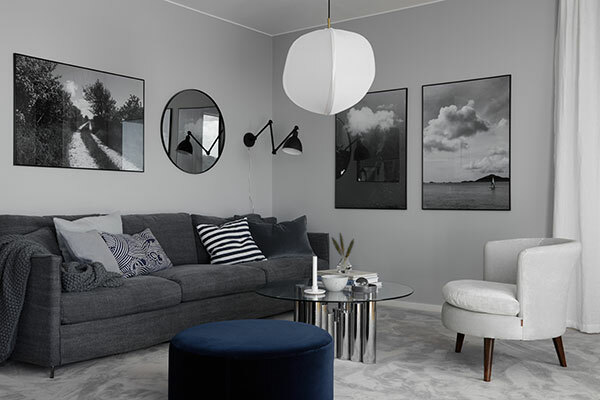 this interior is insanely beautiful!